Social Services is responsible for working closely with health team members to assist residents in maintaining or improving their ability to manage their everyday physical, emotional, financial and psychosocial needs. Whether you are coming to Sauer Health Care for short or long term, the process is the same. If you’re in the hospital, the hospital staff will assist with transfers to long term. If you or your loved one is at home and needing placement, contact your physician to schedule a physical and determine if nursing home placement is the best option. Sauer Health Care Social Services staff can assist with this process. We always suggest that if the situation allows, schedule a tour prior to admission. A tour is helpful so you know what to expect and you can get the answers to any questions you may have. 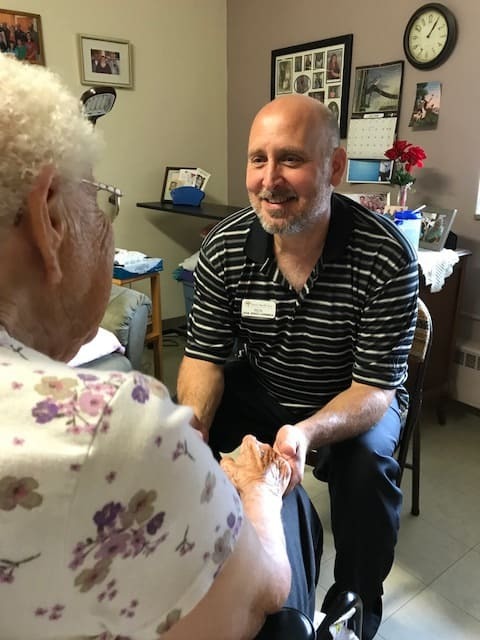 If time doesn’t allow, our caring staff will give the resident and family a tour when you arrive to familiarize you with the building and introduce you to staff and other residents. 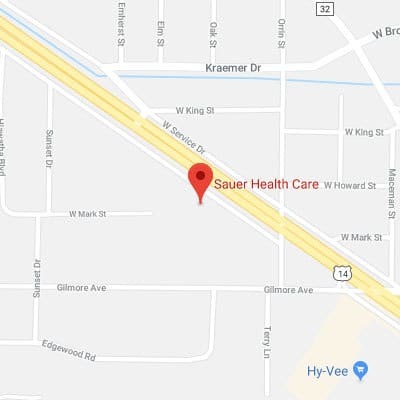 The day you arrive we will also review any pertinent information and provide you with a handbook that will have additional information about life at Sauer. We will want to make sure we get a copy of any insurance cards and Power of Attorney forms that you completed. To inquire about our openings or admissions process, please contact the Social Services department at 507-494-6282.